Oakwood Dog Rescue was set up by Gill Williams; founder of Oakwood Canine Services in 2009, initially to support clients who could no longer take care of their dogs for whatever reason. The not for profit organisation has since grown, and now rescues dogs from across the UK. Based in Hull on Sutton Fields, near Kingswood. Gill is now assisted by a great team who day in day out, work tirelessly to take in, assess and re-home as many dogs as possible. We are an office of dog lovers at StressNoMore – as well as looking after our beautiful office dog Alice we often donate to our local shelter, Oakwood Dog Rescue. Oakwood are based in Hull, East Yorkshire and are entirely privately funded and rely on the kindness of their volunteers and supporters to stay running. They have recently had trouble getting enough funds to keep going and this was made worse last month by the horrible discovery that someone had broken in and stolen raffle prizes that were due to be used for fundraising. This was a huge blow to the shelters finances and put their future at risk. Oakwood have been rescuing and re-homing dogs in the East Yorkshire area since 2009 and are dedicated to helping every dog they take in to find a loving and stable forever home. Their caring staff work hard with each dog, training and socialising them as needed to give even those with behavioural difficulties the best possible chance of a happy new life. We took a trip to the shelter to donate some new raffle prizes and meet one of their current residents. Oakwood has great facilities including an agility training room where you can take your dog for lessons, a grooming centre and space for 20 adoptable dogs. Their rescue dogs come from a wide variety of backgrounds - from local pets whose families can't look after them any more to strays from far flung places like Romania. If you'd like to help Oakwood, there are loads of things you can do. They are always very grateful for donations, whether monetary or of raffle prizes or things for the dogs. They are always looking for volunteers - whether it's to do dogwalking, kennel cleaning, administrative work or fundraising it will be such a valuable and fun use of your time. Can you help? On our visit we met the lovely Penny! She is a very sweet 5 year old Jack Russell blend. Penny has been at Oakwood for over a year as she needs a quiet home with no young children where someone is around for most of the day. This would make her a perfect companion for an older person who is looking for a dog to cuddle and care for. 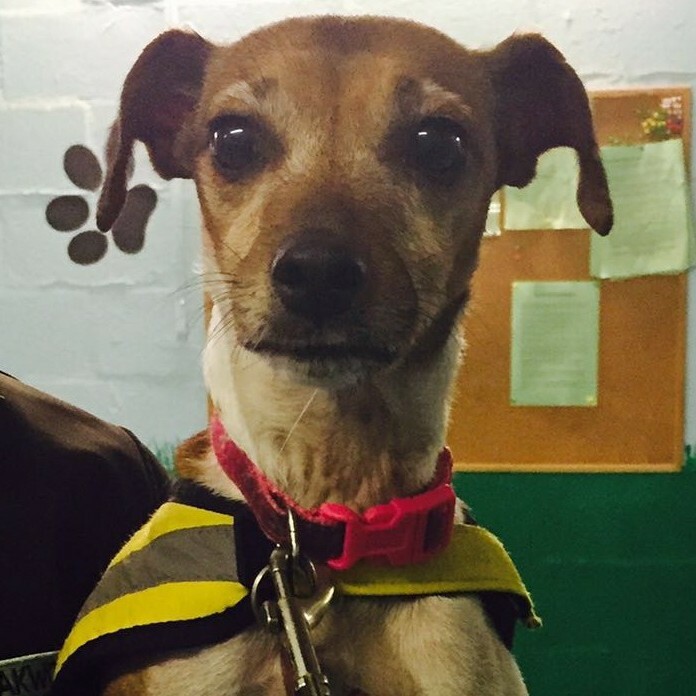 Penny is a very sweet dog who will need quite a bit of training and socialisation to help her to settle. If you live in the Hull area and think you could be the lucky person who’s the right fit for Penny, please have a look at her details and get in touch to arrange a visit. If you're not from Hull but would like to help Penny, you can sponsor her via Oakwood's Sponsor a Dog scheme and make sure that her and her friends continue to have a place to stay. The statistics when it comes to rescues and re-homing dogs are shocking. Sadly, 1 out of every 10 dogs born will find a permanent home, the rest have some difficulty. The main reasons dogs are in rescues is because owners give them up, or the general public/dog wardens find them on the street. Every year, approximately 2.7 million dogs and cats are killed every year because rescues are too full and not enough people are willing to adopt. Act as a publicist for your local shelter so pets can find homes. Thinking of buying a cute new puppy? 25% of dogs that enter local shelters are purebred - there's some food for thought.